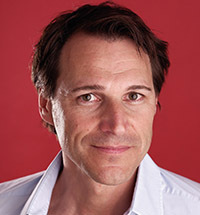 A world-class thinker and entrepreneur, Rolf Dobelli is an expert on human psychology and reasoning. He is the author of the international best-seller The Art of Thinking Clearly (Harper), an eye-opening look at "cognitive errors," or systematic deviances from rational thinking and behavior, and how these simple errors affect our daily lives, as we all make these errors in every imaginable situation. In his book and in his keynote presentations, Dobelli draws from his extensive research to offer guidance on everything from whether you should choose the apple or the cupcake, keep retirement funds in the stock market when the Dow tanks, or take the advice of a friend over a stranger. Dobelli regularly speaks at corporations, financial institutions, technology and innovation companies, sales conferences, and consulting firms, helping audiences everywhere to make better choices in all aspects of their lives. Dobelli is the founder of ZURICH.MINDS, a community of some of the world's most famous, distinguished thinkers, scientists, artists and entrepreneurs, including Nobel Prize winner Kurt Wuthrich, The Black Swan's Nassim Nicholas Taleb, philosopher Daniel Dennett, and many others. A serial entrepreneur, he also started the cloud-based academy CCADEMY, and co-founded getAbstract, the world's largest publisher of compressed business knowledge. He regularly writes for Europe's most esteemed newspapers, including Germany's Die Zeit, FAZ (Germany's New York Times) and Switzerland's Sonntagszeitung. From 2003 to 2008, Dobelli hosted a weekly television show about books and business topics on Bloomberg Television's German network station. He has been quoted in the Wall Street Journal, The Washington Post, Financial Times, Harvard Management Update, The Guardian, The Times of India, as well as on BBC News, BBC Radio, and many other business news outlets. Dobelli received both his MBA and Ph.D. from the University of St. Gallen in Switzerland. He is a member of PEN International and serves on the boards of Life Science Zurich and Sosense. A pilot, sailor, and Alpine snow skier, he has published six novels in Germany and his bestseller, The Art of Thinking Clearly, spent 30 weeks in the number one spot on Germany's Der Spiegel bestseller list and 80 weeks on the top ten list. "Rolf Dobelli is endowed with both imagination and realism, a combination hard to find since the 16th century Renaissance." 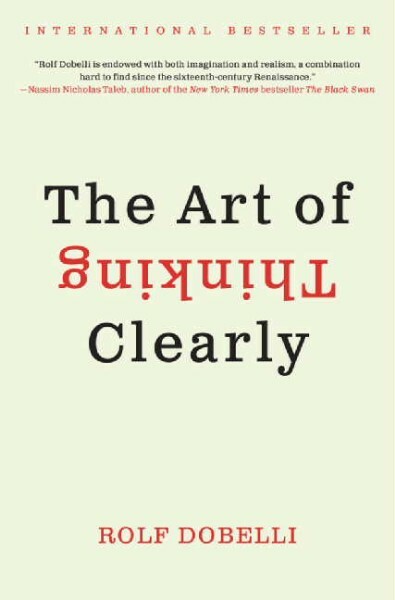 "If you want to learn how simple errors in everyday thinking hold us back from living well, you must read Rolf Dobelli's masterly guide to human irrationality." "Dobelli examines our most common decision-making failings with engaging eloquence and describes how to counter them with instructive good sense." "A fireworks show of insights into how our minds work. If you want to avoid tripping on cognitive errors, read this book." "A practical manifesto. In a world full of cognitive errors, Rolf Dobelli shows us how to avoid them elegantly. This book belongs on the desk of every CEO." "This book is a treat. Highly relevant, scientifically grounded and beautifully written." "This book provides a truly fresh perspective. It is intelligent, informative, and witty. Rolf Dobelli's clear prose illuminates how we think." "This book will change the way you think." "Dobelli, the entrepreneur and founder of companies, writes authentically without being snobbish. His chapters are entertaining, full of anecdotes, and he supports his view points with scientific knowledge." "...a serious examination of the faulty reasoning that leads to repeated mistakes by individuals, businesses, and nations...In this fascinating book, Dobelli does not offer a recipe for happiness but a well-considered treatise on avoiding 'self-induced unhappiness.'"